Free soil test to the first 20 guests. Free native pollinator seed to all guests. 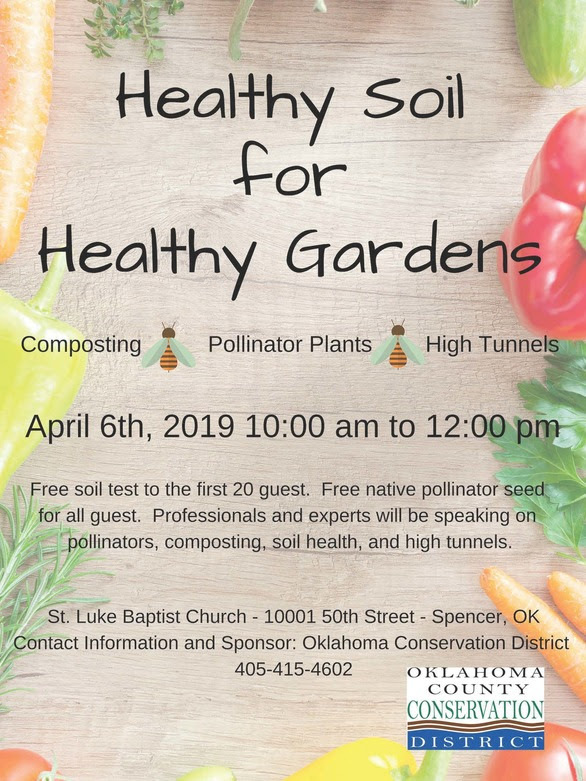 Professionals and experts will be speaking on pollinators, composting, soil health, and high tunnels. For more information, contact the Oklahoma County conservation district by email or phone (405-415-4602).